Lexmark P6250...when trying to print, it pulls the paper to a certain point, then pulls to the right and stops. Message says "add paper"
The text on any letters I print is highlighted with thick black lines. This doesn't show up on a preview of the letter. Also happens on spreadsheets. All problems on this page have been submitted and answered by users. 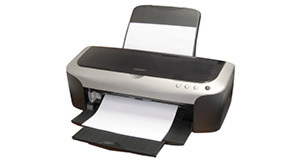 If you have a problem with the Lexmark P6250, please submit it below and we'll post it here. Problem: Lexmark P6250...when trying to print, it pulls the paper to a certain point, then pulls to the right and stops. Message says "add paper"
Problem: The text on any letters I print is highlighted with thick black lines. This doesn't show up on a preview of the letter. Also happens on spreadsheets.